When it comes to health and fitness we compromise at no point. Out of the various modes of leading a healthy life green tea is good for everyone. Now a day this is not an unknown product in fact it is a commonly used house hold material.We often think about the hot talks why there is all the buzz around green tea? There are many benefits of drinking green tea. The following is the zest of everything you need to know about green tea. Green tea is obtained by the unfermented leaves of Camellia plant. Since fermentation involves the process of oxidation the leaves being unfermented possess absence of oxidation in processing these leaves. These leaves are obtained for use by drying which are later steamed that is why the colour of the leaves is green. There is always a confusion behind the usage of the green tea. Few intake the tea twice or thrice a day depending on time. The best time to drink tea is preferred on an empty stomach in the morning as it effects the fats and toxins. Metabolism gets enhanced on its consumption so it’s a good alternative drink for regular exercise. In spite of health benefits there are various Beauty benefits of green tea. As it is a good reducing agent it flushes out toxins from the melanin layer of the skin which helps in improving the complexion of the skin. The antioxidants which are present in the tea protect the skin from aging and imparts a supple look. In unending cases of dark circles it has proved to be a boon since the tannins when come in contact of antioxidants removes dark circles. We often use medicines for acne, pimples and sunburn it is a single solution to all such skin issues. There are various modes of preparing tea. But the recipe of How to make a perfect green tea varies from person to person and one region to the other. In china from where this tea has originated they steam the leaves with few herbs and consume it. During summers the leaves of the tea is brewed with few flavours of mint which cools the body from the heat. 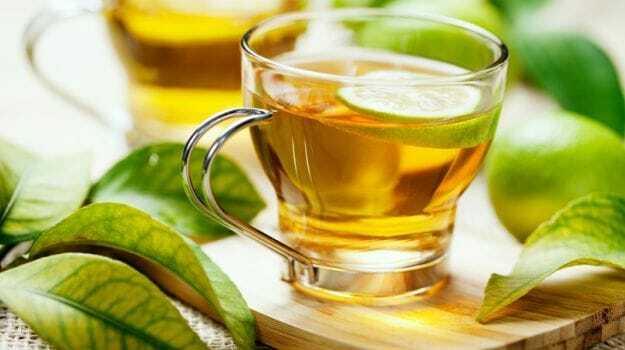 For people who consume green tea to loose weight they steam the tea with few pieces of cinnamon and later add honey to taste as it effects the change in weight quickly. During winters green tea is preferred with ginger as it checks on soar throat. With great benefits come few bad effects which come in loop of green tea. One of the major effects that green tea imparts is that green tea affect iron levels. In case of pregnancy intake of green tea is barred as the tea decreases potential absorption of iron. The compounds present in the tea bind along with iron reducing its absorption by 64 percent. If in habit then green tea should be consumed after an hour interval of each meal than there will be no serious effects of green tea.